Just remember: innovation is the process and the way in which ideas are applied. This month, we are going to share some new products with you and we hope you find that as exciting as we do! We’re also thrilled to share knowledge from our Masters Coaches on how they use our products and they’ll share sample programming ideas that will help you retain and attract new members. As a fitness professional, I get asked a lot of questions about dieting. Everyone seems to ask the same thing: ”What’s the quick fix?” or “What’s the secret to being fit?” However, the question I’ve been asked the most lately is about fasting; specifically, the term “intermittent fasting (IF).” This is not only happening here in Louisville, but all over the United States. Since I am the kind of person who is intrigued by the body and how it reacts, I set out to find out whether IF works and if it’s safe. I wanted to know about the pros and cons, so I asked fitness professionals who specialize in nutrition and science, as well as individuals who tried it to lose weight in preparation of a wedding. IF is a term for an eating pattern that cycles between periods of fasting and eating. It is currently very popular in the health and fitness community. (a) The 16/8 Method: Also called the Leangains protocol, this involves skipping breakfast and restricting your daily eating period to eight hours; for example, from 1 to 9 p.m. Then you “fast” for 16 hours in between. (b) Eat-Stop-Eat: This involves fasting for 24 hours once or twice a week; for example, by not eating from dinner one day until dinner the next day. (c) The 5:2 Diet: On two non-consecutive days of the week, only eat 500-600 calories. Eat normally the other five days. I reached out to my good friend Jim Karas from Jim Karas Intelligent Fitness & Wellness in Chicago. He said: “Intermittent fasting is one of the simplest ways to lose weight (don’t count calories; just don’t eat), reduce inflammation (the gateway to disease), increase immunity, reset the insulin response (gateway number two to preventing diabetes) and boost human growth hormone (the gateway to youth). It’s so simple. First, stop snacking. Second, cut down to two meals a day with no snacking in-between. Third, go 18 to 24 hours between eating or drinking anything with calories to see and feel the results. I’ll be honest with you – I was still skeptical. How could depriving yourself of food or only eating at a certain time be healthy, let alone effective? So, I sat down with two young ladies who have been on an IF program for six weeks. One of them has lost 10 pounds and the other has lost 13. The program they are on allows them to eat from noon until 8 p.m. (They are allowed fluids during the fasting portion, but the fluids cannot exceed 40 calories). They are given a program to count their calories that also included a six-day workout regimen. When I asked why IF had been successful for them, they both informed me that they have tried every other diet out there but did not see great results. They found that with the time duration and directions regarding calories spelled out clearly, the program was essentially foolproof. They also had to log in to a Facebook page each night to log their food and workout numbers, which held them accountable. I then thought about my own diet. I realized that I wake up around 6 a.m. and have a cup of coffee. I normally take my breakfast with me on-the-go because I’m not hungry right away, and I eat probably around 10 o’clock every day. I eat lunch at 2 p.m. and my last meal is normally at 7 p.m. Essentially, I have been doing IF my entire adult life without realizing it. I’m still not sure of the outcome or the long-term effects, but the bottom line is that with any restriction of your diet, you will see results. If you exercise along with it, the results will appear quicker. Eat simple, whole foods most of the time? Think ahead and plan how I’ll eat well when outside of my home or my typical environment? Exercise vigorously (i.e. you could speak in short sentences while exercising but you could not sing) 250 to 500 minutes* or more per week REGULARLY? Enjoy healthy meals with friends and family? Think of foods on a continuum from disease preventing to disease promoting and choose prevention most of the time? Overeat on a regular basis (i.e. more than once a week)? Drink too much alcohol on a regular basis (i.e. more than once a month)? Manage stress and problems by eating them rather than meditating or utilizing other healthy coping methods? Eat less than 75% of my diet from plant foods? If you answered numbers one through five with “yes” and numbers six through ten with “no,” that’s terrific. Your diet is in good shape and you should keep up the good work. If you answered any of numbers one through five with “no” or numbers six through ten with “yes,” simply go back to that question and work on that behavior. Is it that simple? Yes. Does simple mean easy? No. But I believe in you! *Before you start any diet or exercise program always consult with your doctor. 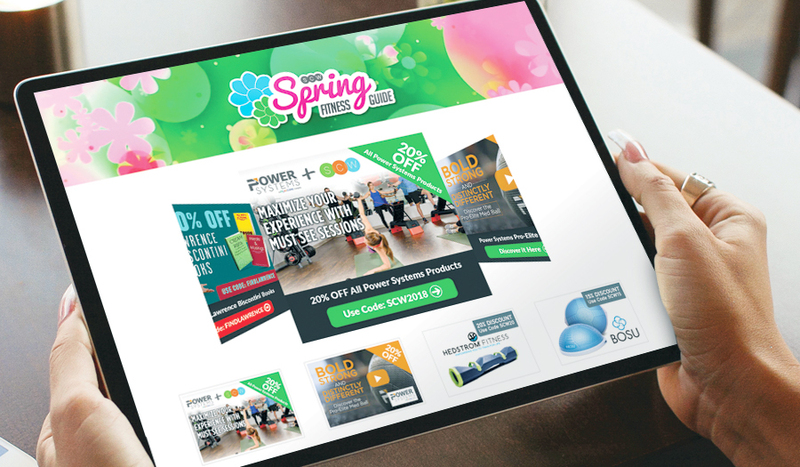 Spring into fitness and lighten your load with the SCW Spring Guide – Discounts, Extras, & Updates are included in this Virtual Magazine of offers and exclusives, from products to programming! What better way to Spring into Fitness than some great deals on the items to help you achieve all of your goals? When we start thinking of ways to get fit and eat healthier, the warmer weather and thoughts of Spring cannot help but push us! SCW has put together an exclusive “Spring Into Fitness” Guide to help ensure you reach each and every one of those goals, all while saving money for summer vacations. Most runners did, and some were surprised to find high glucose levels and the beginnings of heart disease, even when running the mega-miles that were popular at that time. Later, carbs were the culprit, and fat was in fashion, at least as far as ingesting it, that is. Again, most people didn’t distinguish between saturated (red meats) and non-saturated (avocados and nuts), and blood cholesterol levels spiked. Salt, an essential nutrient for proper body function, has also ebbed and flowed in the world of dietary thinking. Should you add salt to your foods? That depends how much processed food you are eating on a daily basis, the amount of exercise you get, and whether you have a heath or family history of high blood pressure. Food manufacturers have struggled to keep up with consumer trends. A recent article by Caitlin Dewey in the Washington Post syndicate addressed this. Ms. Dewey cited a report by the U.S. Agriculture Department in November that noted that large food companies like General Mills, Kraft, and Nestle have lowered sugar and salt content in their products, reduced artificial flavors and additives, but have increased the level of saturated fats. The article cited the difficulty in reducing all three of those elements and still making a product that is affordable and tasty. Let’s face it, the all-natural products are a luxury for most middle-class consumers, and if something doesn’t taste good, there won’t be many repeat buyers, no matter what the health benefits are. The Agriculture Dept. studied products that entered the market about 10 years ago and compared them with today’s processed choices. Categories included were cereals, yogurts, snacks, candies, and frozen and refrigerated meals. Sugar and salt were reduced in almost all categories, but saturated fats were up in every area except candies, which does not contain a significant amount of fat. Health claims on many of the products are dubious. 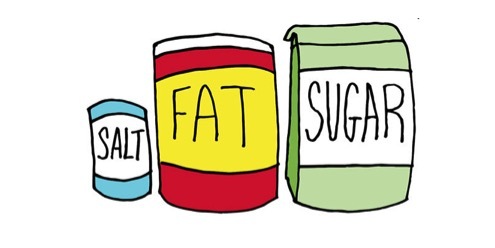 Yes, it may be lower in sugar or salt, but because of the higher saturated fat content, may be worse for you, overall! What do you do? Try to shop the outside aisles of the store as much as possible, where the fresh foods are located. In general, try for a diet that’s about 50% carbs (mostly complex! ), 25% protein, and 25% fats (non-saturated). Adjustments can be made depending on your activity level, workout goals, and of course, personal health history. Don’t’ worry about what the latest weight-loss fad is. Be sensible. Think of food as fuel for your body, like gasoline for your car. Most processed food is like off-brand, low octane, gasoline. One tankful won’t lead to a breakdown, but don’t “fill up” there all the time! About the Author: Ed Halper holds a master’s degree in physical education from the College of New Jersey. He is a Certified Personal Trainer through SCW and has been competing in running and triathlon events for more than 30 years. 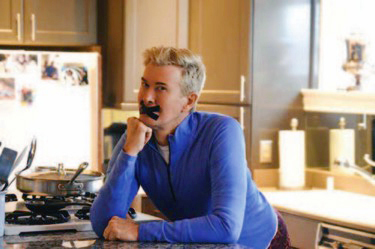 Ed, his wife, Laurie, and children, Carli and Max, are residents of Basking Ridge. The Women In Fitness Association (WIFA) announced today eight new sponsors from all walks of the fitness industry. The Women in Fitness Association (WIFA) held its first live event in San Diego, honoring the women who ‘birthed’ an industry, a celebration of the innovators and creators who pioneered educational development, programming, and teaching skills to grow the industry. In the same tradition that these early starters came together to help shape the industry, new WIFA sponsors have also come together to support current and future industry innovators including many women-led companies. Sponsors include GroupEx PRO, Drishti Beats, Matrix, Midtown Health, Mo Hagan, Piloxing, Precor, and SCW Fitness. The WIFA goal is to create a culture where women entering the industry can obtain mentorship and seasoned veterans can impact their peers and encourage them to take on more leadership roles. WIFA offers quarterly virtual meetings, annual live events and “crowdsource” topics so everyone involved can contribute. WIFA open for membership. GroupEx PRO is a private, web-based communication portal for group fitness programs. Created by international fitness business and program consultant, Shannon Fable, and her web-developer husband, John Fable. Their mission is to help eliminate the frustration felt by group fitness managers with regard to communication. while simultaneously enhancing the sophistication of group ex departments worldwide. GXP is an all-in-one, web-based solution designed to streamline communication with your team while organizing the critical areas you manage daily. Designed by veteran GFMs, GXP optimizes current processes, eliminates unnecessary stress and paperwork, all while saving time and heightening engagement with your team, as well as your members. GroupEx PRO provides fitness clubs with an affordable “one-stop-shop” for communicating with staff and members, coordinating subs and schedule changes, and tracking class performance data. Founded in Los Angeles, California in 2010, the Piloxing Academy is a leading provider of group fitness programming worldwide. The Piloxing programs have gained immense success and longevity in the group fitness sphere by incorporating the most effective and timeless disciplines of Pilates, Boxing and Dance. Precor designs and builds premium fitness equipment for effective workouts that feel smooth and natural. With a passionate focus on ergonomic motion, proven science and superior engineering, the company continually advances the home and commercial fitness industry with breakthrough new product categories, including, EFX® Elliptical, Adaptive Motion Trainer® “AMT®” and Preva® networked fitness. More recent additions to the brand have been the acquisition of high-end modular functional training system Queenax®, and an exclusive worldwide agreement with Mad Dogg Athletic Inc., creators of Spinning®, for Precor to assume all commercial Spinner® bike production for an entirely new line of Spinner® indoor cycling equipment. Precor is a subsidiary of Amer Sports Corporation, the world’s largest sports equipment company, with internationally recognized brands Wilson, Atomic, Suunto, Salomon, Arc’Teryx and Mavic. SCW Fitness Education has been in business for 34 years, and we are the largest provider of US continuing education conventions for fitness instructors with 9 regional shows (MANIA® Fitness Pro Conventions) each year. They reach over 10,000 fitness professionals in face-to-face contact, and another 200,000+ in virtual reaches. SCW created and services WATERinMOTION, a pre-choreographed aquatic fitness program. SCW is unparalleled in its provision of certifications, continuing education courses and conventions to fitness professionals in multiple disciplines both live and online. When an entrepreneur is first considering a new project, various financing options are usually studied, and the most appropriate financing product is chosen. For example, an equipment lease is often chosen for financing new fitness equipment. Another example is an entire new club is often financed using a bank loan or an SBA 7(a) loan. It is very unusual when two financing products are complementary & can be selected to finance the same project. With the introduction of the SBA Express loan, this is no longer the case when renovating or expanding an existing fitness center or when launching a new fitness center. An SBA Express loan works very well with an equipment lease for financing a new project or an expansion. In 2014, the Small Business Administration (SBA) introduced the Small Loan Advantage loan program often referred to as the SBA Express loan. After the recent financial crisis often referred to as “The Great Recession”, many homeowners lost their real estate equity which is used as collateral requirement for a SBA 7(a) loan approval in most cases. Consequently, many perspective borrowers were unable to secure financing because they lacked the equity in their home required to collateralize their loan request. The SBA Express loan caps the loan request amount at $150,000 to limit the risk since real estate collateral is not required. Instead, the business assets are used to collateralize the SBA Express loan and the main approval requirement is good personal credit & some liquid assets. Since the collateral used to secure an equipment lease is the equipment being financed and the collateral for the SBA Express loan is the other business assets, these two debt financing products are totally compatible! Furthermore, since the underlying concept of the SBA Express loan is to provide working capital, financing the equipment needed to run the business provides the club owner more working capital so the underlying reason that both products exist is the same. The most common financing option traditionally available in the fitness industry is equipment leasing. The cost of purchasing the fitness equipment has risen over the years as manufacturing costs have increased and as technology & entertainment options have been introduced. Most major fitness equipment manufacturers employ full time leasing professionals who manage the financing process with major banks & lessors with the goal of increasing sales by providing financing options to their perspective buyers. Nearly all fitness equipment manufacturers are aligned with a variety of leasing companies who actively complete for the leasing business that is generated on a consistent by the fitness industry. The main purpose of a capital lease is to finance the equipment purchase while preserving the owner’s working capital. Club owners can finance the purchase of strength & cardio equipment, security systems, computer hardware & software, flooring, outdoor signage and other tangible items needed to run the business using an equipment. The fitness and non-fitness equipment being financed is the collateral for the equipment lease. The owner(s) are required to personally guarantee equipment leases until the business is established and profitable over many years. The required down payment ranges from one lease payment to 20% of the amount financed. Lease documentation fees range from $95 to $495. Repayment terms typically range from 12 months up to 60 months and are tax deductible, so the payments will lower taxable income and, in turn, tax liability. Since most owners plan to keep the equipment long term, they choose a capital lease with an end of term purchase for $1.00. In short, an equipment lease is used to purchase the equipment needed to manage the fitness center. This government backed loan is designed to provide working capital ranging from $20,000 up to $150,000 for start-ups and existing businesses. The main purpose of this loan is to provide the funds necessary to support the company until the business generates positive cash flow. The loan process takes 60 – 90 days to complete on average before the loan is funded. The SBA loan process does require an attention to detail in order to complete the application and contingency requirements. If the use of the loan funds is to finance a new location, the loan can be approved in advance, however the funds will not be distributed by the bank until the new location has received a certificate of occupancy. This insures that the money will be used to operate the new business & will not be used to pay for build out expenses. The interest rate for this loan is calculated by starting with the prime rate as published in the Wall Street Journal which is currently 3.5%. The bank charges a 2.75% risk premium on this loan so the interest rate is 6.25% at this time. This is a variable rate loan which changes quarterly when the Fed Board of Governors decides to raise or lower the prime rate. The most recent .25% rate increase implemented at the end of last year raised the SBA loan payments on a $150K loan by about $18.00 per month. The repayment term is 10 years and there is no pre-payment penalty so if the fitness center is extremely profitable, the loan can be prepaid to save interest expense. The purpose of using SBA loans and equipment leases is to access other people’s money (OPM) and preserve the club owner’s capital. The goal is to borrow the money at a cost that is less than the business profit percentage. For example, if a $100,000 equipment lease provides a 12% return to the lessor and an $150,000 SBA working capital loan has a 6.25% interest rate, the business owners will be borrowing $250,000 at an 8.6% blended interest rate. Assuming the fitness center operates at a 15% profit margin, the club owner is using OPM at a cost that is almost half of your anticipated return on capital! In conclusion, equipment leases and SBA Express loans are complementary products that will enable an entrepreneur with good personal credit to finance the opening and expansion of a fitness center. The best part about this financing combination of a SBA Express loan & equipment lease is that the collateral is your business assets… not your home … just your business assets! You know that moment when your stomach grumbles for something sweet while you’re watching TV and enjoying a glass of red wine? We do. And such an occasion calls for a healthy late-night goodie that’s easy to snack on and that satisfies your sweet tooth. Line a cookie sheet with parchment paper and lay out the banana slices. Freeze for about an hour (until hard). Put coconut oil and chocolate chips in a microwave safe bowl and melt the chocolate in 30 second intervals, stirring until smooth. Then, let it cool just a bit. Submerge your frozen banana slices in the chocolate. Using a fork, remove each slice, draining off excess chocolate and then replace on the parchment paper. Sprinkle chocolate covered slices with your favorite toppings: coconut flakes, pistachios, etc. Place back in freezer until your topping are secure. Store in a sealed container or bag until you’re ready to snack! Thanks to POUND Fitness for their amazing blogs and recipes. Check them out here: www.poundfit.com. You can also check out the amazing Pound. Rockout. Workout. At MANIA®! www.scwfit.com/mania.